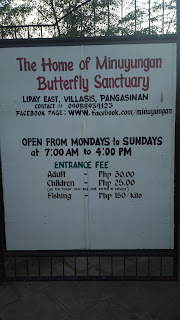 Who would think that in the far flung barrio of Lipay, Villasis, Pangasinan, a Minuyungan Butterfly Sanctuary can be found? 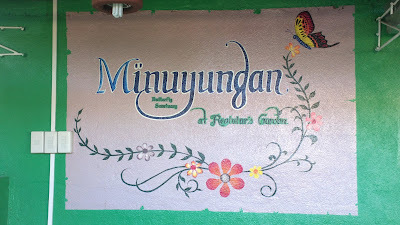 Yes, in the Reotutar Garden, a haven for the minuyungan butterfly variety as well as other species can be found. Aside from the butterflies, the place also offers other bounties and beauties of nature including fishes, birds, other animals, flowers, and various plant varieties. The place is very inviting and safe despite its distance from the town. The gate was even open so we were able to snoop around up until the net fenced butterfly sanctuary. But we wanted to see the area from within so we walked around until we found people. Finally! So our guide initiated the tour by introducing us with different butterfly specie thriving within the sanctuary complete with a scientific explanation of the butterfly’s life cycle starting from being eggs, to larvae, pupae, and so on. In a large group, they even present a PowerPoint based introduction with matching videos. But there were only three of us at that time. Right after the exit to the receiving room is a wishing well and you would expect countless coins at the bottom. I made a wish like everyone would. Then off to the actual butterfly sanctuary we went. I don’t remember all the interesting facts about butterflies which our guide uttered from time to time but I can definitely recall how relaxing the place is. After the sanctuary, we witnessed other features present in the garden including a natural fertilizer-making compost area where the African night crawler is used to create non-chemical fertilizers using waste materials. There was also a lone turtle along with a few rabbits close to this section. 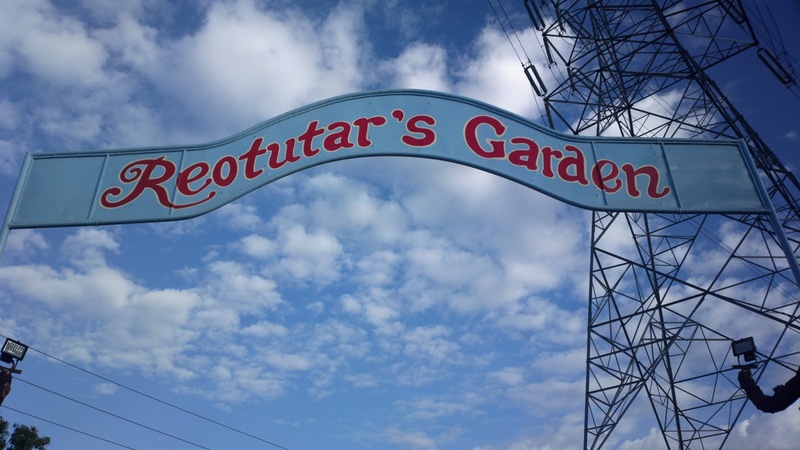 An aviary with several bird species is also present beside the horticulture area where obviously plants and flowers which they sell abound. There is also a pond with live fish. You can fish using bait and game they will provide for free and request for your fresh catch to be served just the way you want it via a waiting dining area elevated through the Senior Citizen lane. It’s not free of course and will cost Php 150 per kilo. Nothing fancy about the lane by the way, it’s a ramp built for the elderly so they won’t have to climb through tiring stairs. We had a short snack through the canteen inside the garden before viewing the paper making technology also featured in the place. We walked one more time around the area before heading home quite satisfied with what we had experienced considering how affordable the entrance fee is. I must say the entire area is an architectural wonder. Every nook and corner had been carefully planned architecturally, artistically, and aesthetically. Also, from what we’ve heard, the garden will be extended further and will soon add additional amenities including a pool and an events center just in time for May, where they will host a wedding. The huge Christmas cottage village displayed over SM Rosales last holiday 2012 will be an added attraction as well. They won a bidding war for the rights to bring home that giant centerpiece. A few blocks away from the garden, you will see a glimpse of the upcoming TPLEX or Tarlac-Pangasinan-La Union Expressway as well. The Minuyungan Butterfly Sanctuary of the Reotutar Garden is open Mondays to Sundays from 7 AM to 4 PM with an entrance fee of only Php 30 for adults and Php 25 for children. For updates, do visit their Facebook page and for directions, please refer to Google Maps.